This number, which is still growing, is a record for the event and exceeds the anticipated target of 225 exhibitors, highlighting the global interest in the event. Over 3,500 attendees are expected to attend the IDTechEx Show! which brings together emerging technologies with global brands. The event explores nine emerging technology sectors with concurrent conferences and a single exhibition covering 3D Printing, Electric Vehicles, Energy Harvesting, Energy Storage, Graphene, Internet of Things, Printed Electronics, Sensors and Wearable Technology. These topics overlap, uniquely allowing those involved to assess their opportunities across the whole supply chain, from material organizations engaging directly with OEMs allowing them to understand user requirements, to OEMS and end users uncovering the latest technology developments in components, materials and manufacturing that will enable differentiated products and competitive advantage. The 245 exhibiting organizations cover the full supply chain, from advanced materials to new manufacturing processes and components (such as sensors, energy storage, displays, energy harvestings), to complete products, such as wearable technologies and vehicles. See the flying car from Terrafugia, to flexible lighting panels, to the latest in e-textile garments. Country cluster pavilions in the tradeshow this year include those from China, Canada and Korea, in addition to a graphene pavilion and areas dedicated to product demonstrations and live manufacturing. Raghu Das, CEO of IDTechEx, the global research firm that hosts the event, reports, "Key to the event's success is that the IDTechEx Show! focuses on the commercialization opportunities of these emerging technologies, with brands across many industry verticals present. The event is devised by IDTechEx analysts with a focus on adding value to the industry by showcasing user needs and the most significant industry developments, allowing companies to learn and accomplish significant new industry relationships." 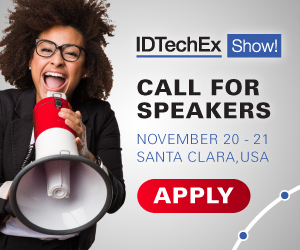 If you seek to showcase your innovative solutions to leading brands across the supply chain, contact exhibit@idtechex.com for details of the last few remaining exhibit places or see www.idtechex.com/usa for more details. The early bird discount rate of 15% for attendees ends October 27, 2017, see www.idtechex.com/usa for details.